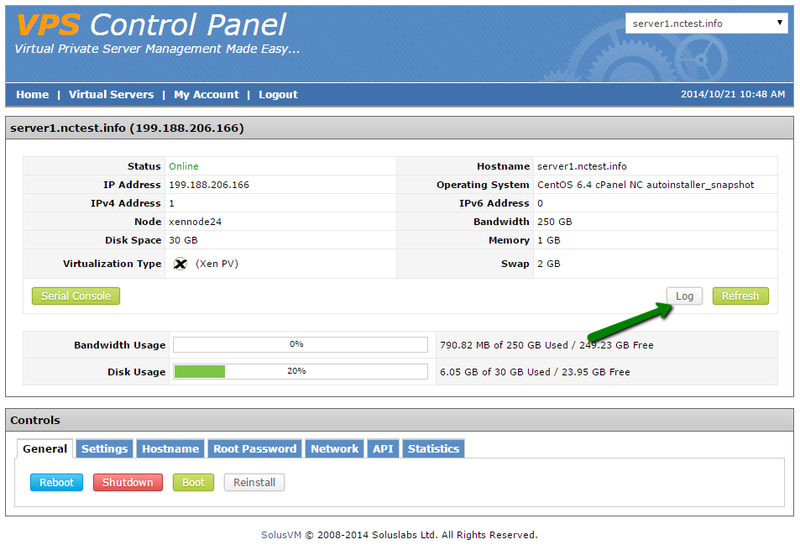 Solus Virtual Manager (SolusVM) is a powerful GUI based VPS management system which allows you to monitor your VPS status and change basic settings. Login details are provided in welcome email along with server access details. If you haven’t received it please contact us. 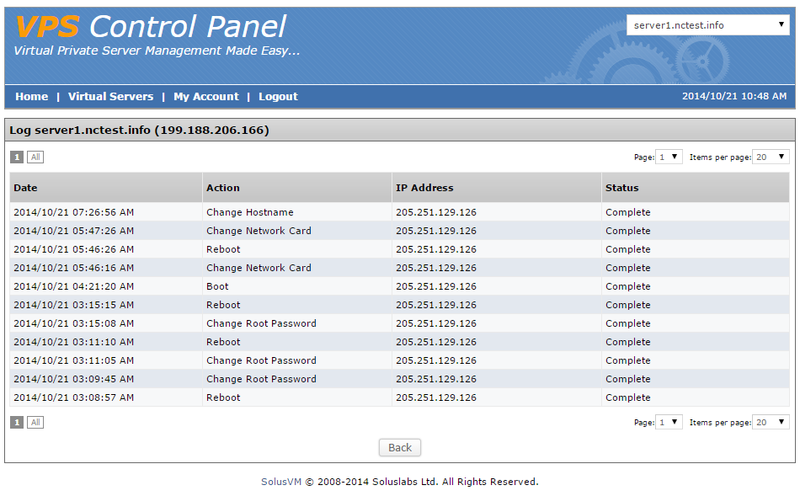 Inside SolusVM you will see all your VPS with us. 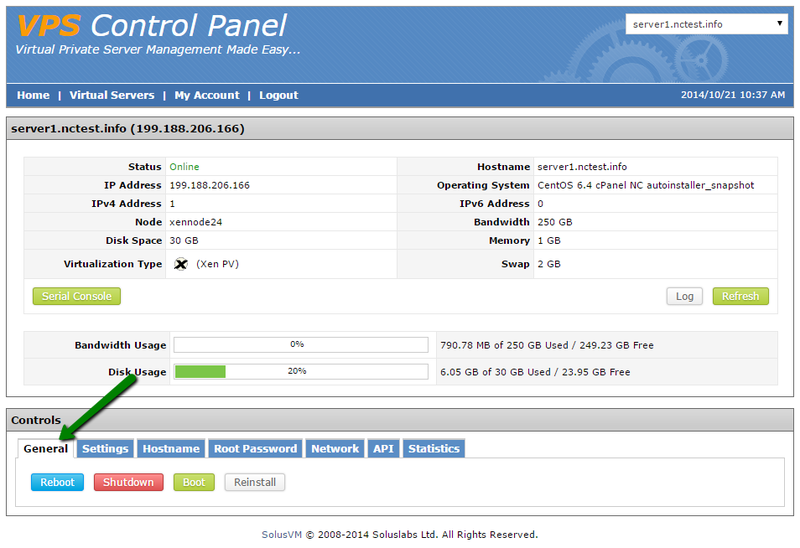 Click on Manage next to VPS in question in order to access its management panel. 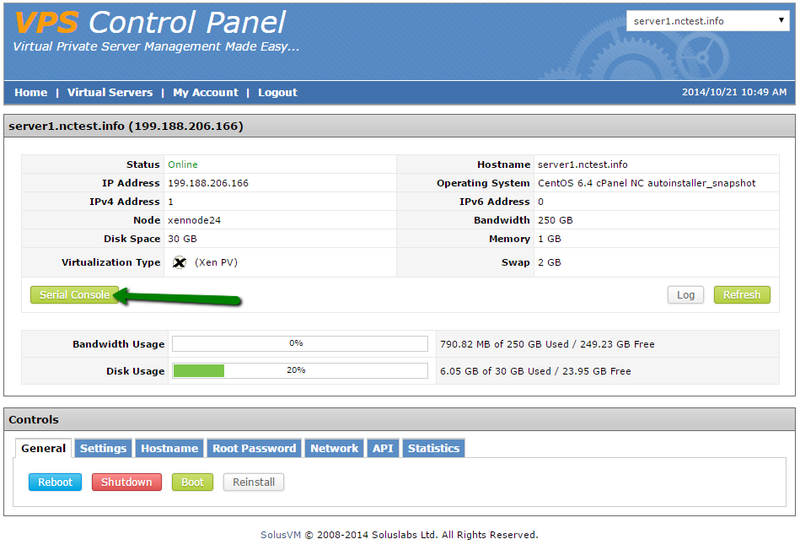 Select Hostname tab. 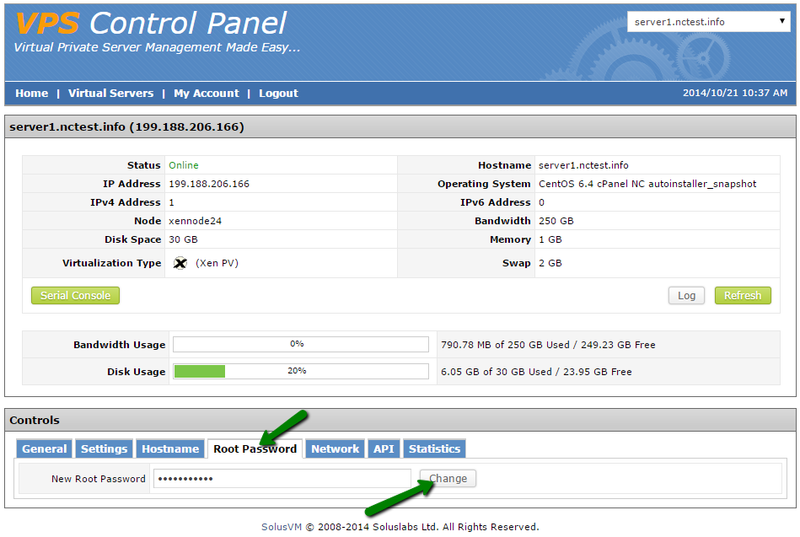 In New Hostname field input new server hostname of your choosing and click Change. Select Root Password tab. In New Root Password field input new root password and click Change. 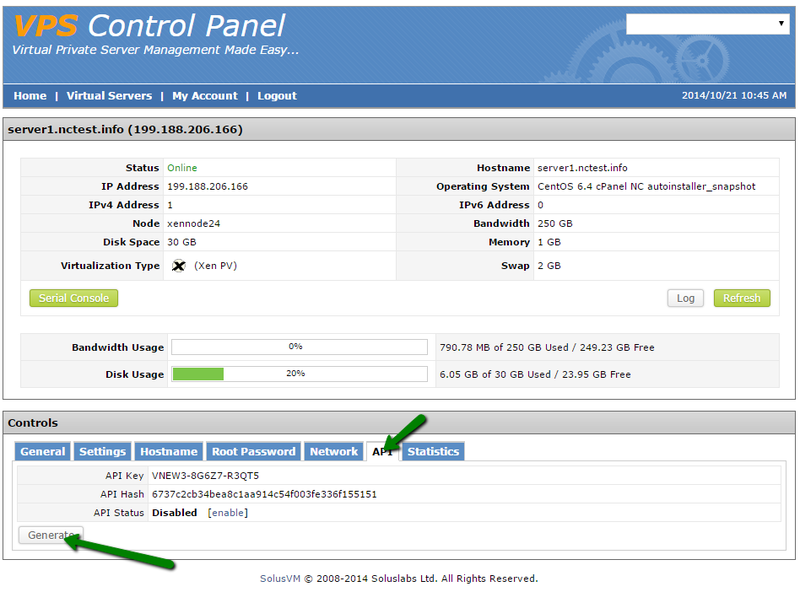 NOTE: a reboot of your VPS is required for the root password change to take effect. Select API tab. 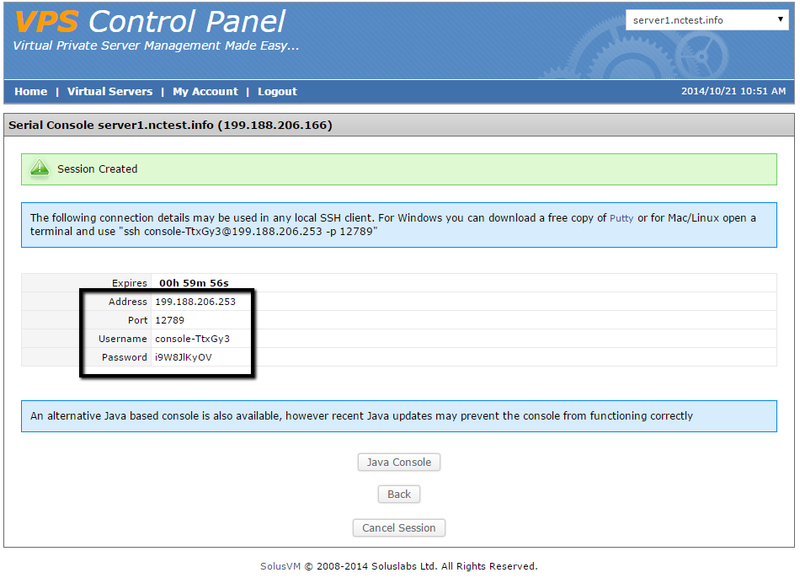 Click on Generate in order to generate new pair of API user/password. 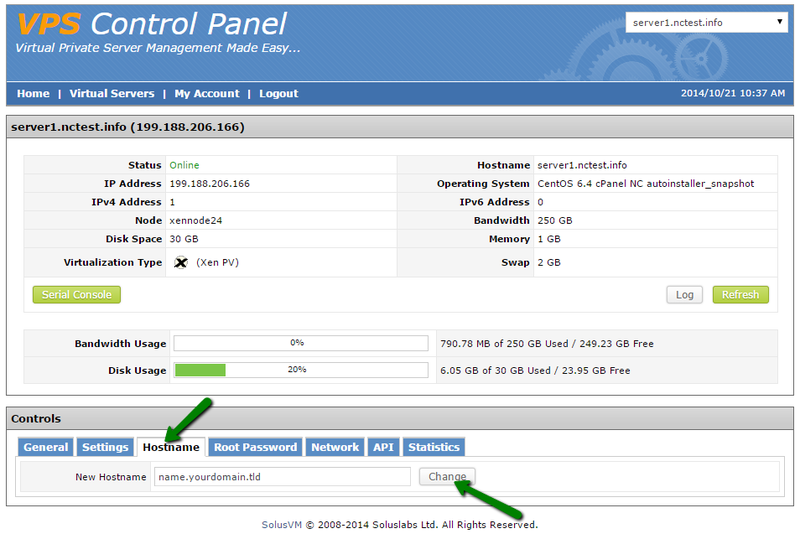 Serial Console is a SolusVM feature that enables an SSH connection via separate IP address using session-specific, random username and password. 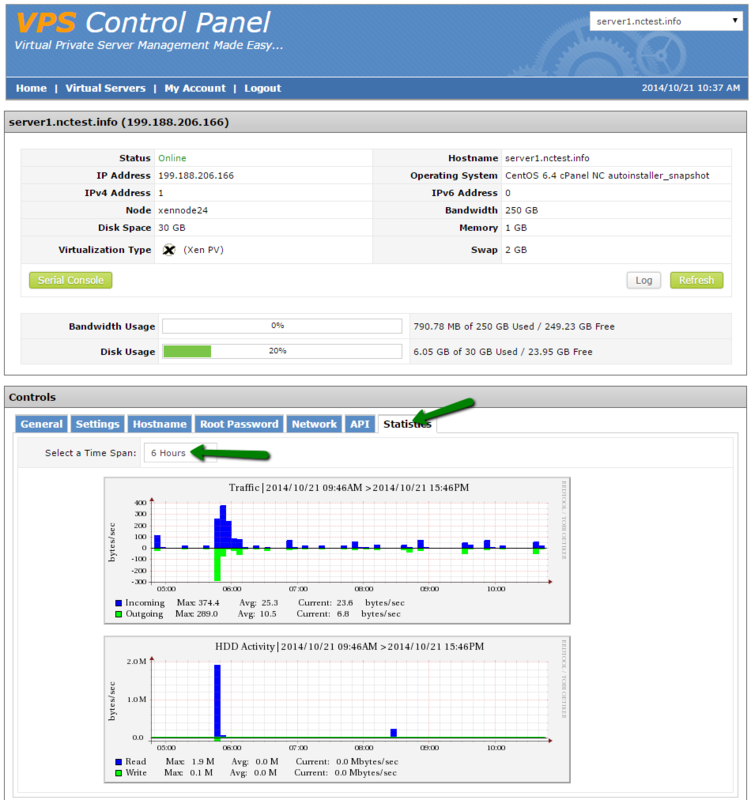 It can be used when you can’t connect to your VPS through regular means, for example due to firewall misconfiguration.